Roadside sobriety exercises (or field sobriety tests) are notoriously unreliable. Just because the arresting officer believes you were legally impaired does not mean you are guilty of drunk driving. The Law Offices of Russell D. Bernstein, P.A., The Legal Helpline — A Private Law Firm has extensive experience challenging field sobriety tests and other roadside DUI testing in cases throughout Florida. If we can prove that the tests were invalid, then the arrest and charges that resulted can be thrown out. We aggressively pursue dismissal of charges under these circumstances. 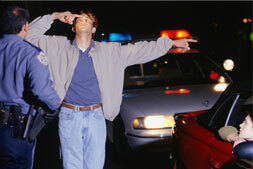 An experienced attorney can challenge roadside sobriety tests. To discuss the specifics of your case and to learn more about your options for fighting drunk driving charges in Florida, please contact a North Miami roadside sobriety test lawyer. Were you under duress during the field sobriety test? If you felt threatened or afraid that you would be taken to jail if you didn't perform well, your anxiety may have been misinterpreted by the police officer as an indication of impairment. What were the conditions under which you were tested? If the road or sidewalk was tilted, slippery or in poor repair, tests involving standing on one leg or walking a straight line may be invalid. Poor lighting may also affect a police officer's ability to accurately conduct and evaluate an eye-tracking test (technically known as a horizontal gaze nystagmus or HGN test). Does the arrest or jail intake video indicate that you were impaired? If not, we have a potentially decisive piece of evidence for your defense. It can be difficult for the prosecution to convince a judge and jury that you were too drunk to drive when you appear fine in the video. For dedicated and aggressive defense representation to challenge Florida roadside sobriety tests, please call our Legal Helpline at 855-352-8425 to schedule a confidential consultation.